Accademia Arcadia’s very own Italian Devil! 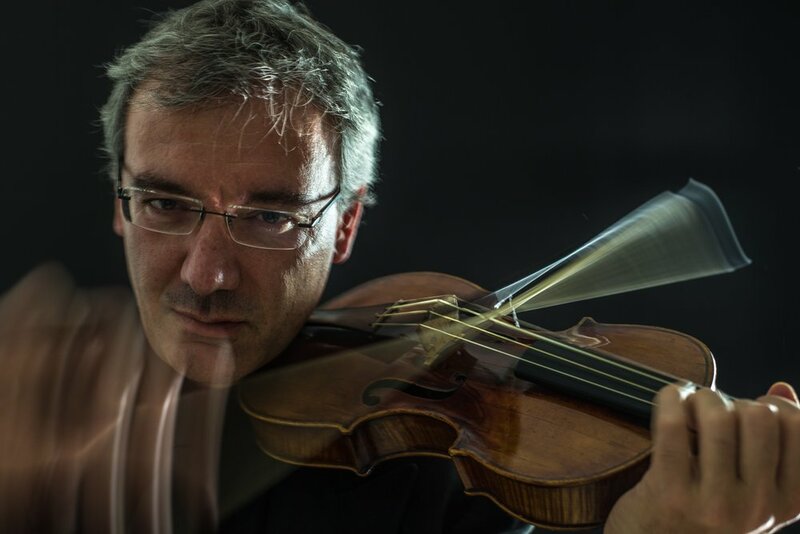 Hear the phenomenal improvisatory skills of Italian violinist Davide Monti, and a superb copy of a Cristofori piano as continuo instrument at Montsalvat. The program of music features some of the most popular and virtuosic music ever written for the solo violin and Monti, a performer of the highest international rank, plays it with ease and makes the violin speak. He plays an original instrument from Parma 1766. Bartolomeo Cristofori invented the piano. The copy that will be used in this concert was made for Montsalvat’s Executive Director Jacqueline Ogeil and is the only instrument of its type in the Southern Hemisphere. Accademia Arcadia is a Baroque chamber ensemble of high originality. Known simply as Arcadia, this company was formed by Jacqueline Ogeil in 2001 to explore the trio sonata, cantata, early opera and grand liturgical music genres. Arcadia’s concerts were broadcast by ABC Classic FM from its inception in 2001. The program features works from the recently recorded Il Diavolo. Davide Monti is a baroque violinist who combines an infectious energy with the exceptional talent of being a completely natural performer. A highly sought-after director, soloist, concertmaster and chamber musician, his playing has been described as “phenomenal”, with “incredible freshness”, where “all appears extraordinarily spontaneous and organic”. His prize-winning recordings include Vivaldi’s Four Seasons which has been reviewed as “definitely one of the best versions of the decade”. With degrees from the Conservatories of Parma and Verona, Davide has been leader/soloist with the European Baroque Orchestra (EUBO), Il Tempio Armonico, Accademia Arcadia Australia, Ensemble Elyma, Tafelmusik Toronto, and Arparla with harpist Maria Cleary. Davide focuses on the art of improvising, where the experience of extemporaneous communication parallels other art-forms such as theatre, dance and fencing. He considers the score to be a canvas from which each performance can be different and vital. Davide has taught improvisation within historically-informed practices in Europe, Canada, Asia and Australia. He loves to speak with his violin, made by the Guadagnini family, probably by Giuseppe “il Soldato” (the Soldier), whose label says Parma 1766. Josephine Vains is an Australian cellist, chamber musician and educator, and has performed on concert stages throughout Europe, North America, Asia and the Caribbean. Currently performing with Firebird Trio, Accademia Arcadia, Australia Octet and Kammermusik, she has performed with Trio 3.0.3, Freshwater Trio, Melba Quartet and on radio for ABC FM, 3MBS, DRS1 (Switzerland), NDR (Germany) and CBC (Canada). Josephine’s love of music permeates her teaching at the VCA Secondary School, University of Melbourne and Monash University. Her musical life also extends to adjudicating, examining, blogging, and curating concerts. She performs on a Thomas Kennedy Cello, London 1850 and a John Devereaux Cello, Fitzroy, 1864. Dr Jacqueline Ogeil (B.Mus, B.Mus Ed, M.Mus, PhD) runs three not-for-profit companies, and is an internationally respected artistic leader, performer and musicologist. 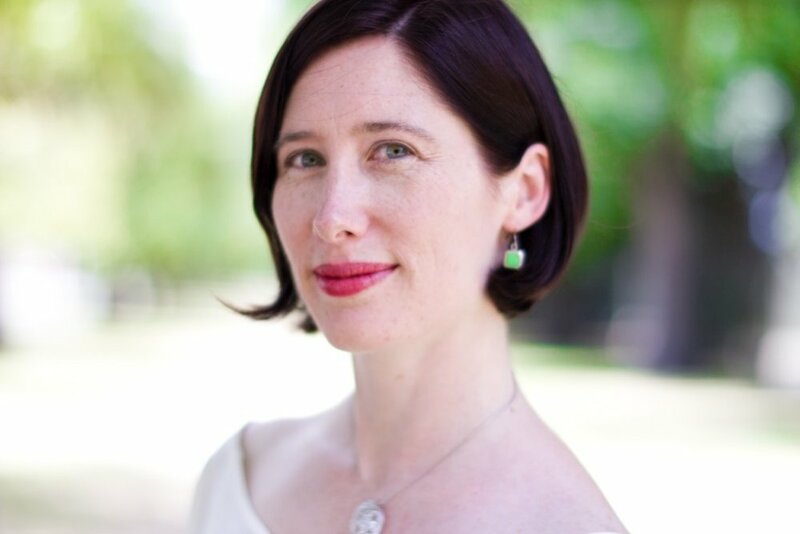 Artistic Director of the highly acclaimed Woodend Winter Arts Festival, which she formed in 2004, and Director of the baroque ensemble Accademia Arcadia (finalist for 2007 ARIA award in Classical Music), and newly appointed Executive Director of Montsalvat, Australia’s oldest artists colony. Ogeil performs on harpsichord, organ and fortepiano, and has released eleven CDs, with her recording of Bach’s Goldberg Variations on ABC Classics has recently been re-released. She is broadcast via the European Broadcasting Union, ABC Classic FM (where she has been twice featured as CD of the week) and on 3MBS. Her scholarly articles on Domenico Scarlatti have been published internationally. In 2014 she was a recipient of a Margaret Lawrence Bequest for Women in Arts Leadership, and in 2015 was named by Westpac and the Financial Review as one of the 100 Women of Influence.